(1) With much gratitude to Rissho- Kosei-kai and Maestro Fennell. If I was to sum up the charm of Frederick Fennell’s music in a single phrase, that will be “overwhelming presence”. Fennell (during his first visit to Japan) appeared for his first rehearsal session in a flamboyant and unique dabo shirt. This appearance which portrayed eccentricity and character, together with his conducting, charmed the young members (avg. 30 years old) of the Tokyo Kosei Wind Orchestra (TKWO) greatly. The first piece for the rehearsal was March of Fucik – Florentiner March. Fennell’s first request was regarding the bass drum’s solo after the initial fanfare. “Bass drum is a low frequency instrument which should be sounded with a low frequency.” Fennell said, as he personally tuned the instruments. The Trio portion should be played slower while sounding the melody with more emotions. If you listen to the 30th Regular Live Performance CD in 1982, Fennell’s unique style of music can be distinctively heard. His style consists of analysing and interpreting the score, writing detailed instruction for individual sections and to start by showing his style of “creating the music”. This can be seen through the perception of the “gap” in Florentiner, feeling of the phrase and the sounding of Trio that reminds the audience of an Opera. Through these details, an artistic March that depicts the energy and liveliness of the Street of Florence while delivering the Aria of the Opera was created. Normally, TKWO, under Fennell, would borrow the detailed score for each parts from Fennell. This is a highly efficient method considering the limited practice time of 4 days from 10:30-15:30. This also meant that a higher music standard and expression would be expected from the members. However, the reality was that it took some time for the members of TKWO to understand Fennell (age 67 then). One phenomenon that was observed since the very first day was that at the end of every rehearsal, a large group of people would follow Fennell around. Perhaps, due to the outgoing nature of the members, questions regarding practices and queries about pieces were directed at Fennell without any reservations. Just like a magic broom following the Magician, the members constantly followed Sorcerer Fennell around. It was truly an enjoyable and enriching experience for the members. We were very passionate and excited about performing with the God of Wind Ensemble. John Barnes Chance’s Variations on a Korean Folk Song is a well-known song nowadays played by many. However, back then for TKWO, it was a precious song through which the members learnt about the style of ensemble playing and music from Fennell. The woodwind unison of song and harmony, ‘colourful variations’ due to change in instrument, the beauty and intricacy of each variation and last but not least, the unison of all the above mention creates a spectacular ending for this piece. In the percussion variation, there were times where the decorative notes shows the player ‘how to play’. It was also where the experience of the percussionist was put to the test. Fanfare and Allegro by Clifton Williams is well known due to the recording by Eastman Wind Ensemble in 1957. On the back of Fennell’s score was the members’ names who formed the Eastman Wind Ensemble then. Some of the names were, Roger Bobo from Tuba, Donald Humsberger from Euphonium and Clarinet had Larry Combs from the Chicago Symphony Orchestra. However, at that point of time, they were still nameless students. Theme and Variations for Band by Schoenberg was played with overflowing enthusiasm by TKWO due to Fennell being their conductor. Playing the [Canon of Mirror] variation for the clarinet with Hitoshi Sekiguchi san and the euphonium with me was a thrilling and enjoyable experience. I still remember being told to “play like Gershwin” at the harmony progression at the end. During the year for the 34th Annual Concert, Fennell cancelled most of his job in America and spent 9 months with us. He brought in large amount of his personal scores and gave the bass drum player his custom-made drumstick, advising the players to not only sound the instrument but to resonate the space itself. Even during the recording session, he pointed his baton to the audience seats and requested that the players resonate the space and project the sound to the audience. The concert, led by Fennell (69 years old) was one that was brimming with energy. “If Frederick Fennell did not start the Eastman Wind Ensemble, Wind Band would be unjustly called a Brass Band, known for making loud noises as they march on the streets.” While this is a rather harsh statement, Fennell’s way of approach towards Wind Orchestra, arrangements and compositions, attitude towards music indeed has a clear distinction from the others. Fennell-San (Maestro from now on), who was appointed the TKWO’s regular conductor lead a hectic lifestyle. He travelled all over Japan, from the North to South, from Hokkaido to Kyushu, together with the orchestra. Out of these many trip, the most unforgettable for me was the music appreciation concerts conducted in outskirts of Nagano Prefecture, Ina and IIda area. We went around to 3 venues a day on bus for a total of 10 days. The audiences were primary and secondary school students. Every of them were nervous to hear a live performance for the first time. Nonetheless, they listened earnestly. We were able to fill the area with beautiful sounds and resonating harmony. Music appreciation concerts required us to start moving early in the morning and hence was rather tiring. This could have turned into a simply tiring and mundane job but Maestro was different. Every single performance from Bach’s Toccata & Fugue to Holst’s First Suite, was conducted with all his might. Maestro always emphasised that “Music is about sincerity.” “It is our job to deliver a sincere and splendid performance, regardless who is listening to us!” These activities gradually strengthened the members ‘power of music’ and pushed TKWO into a more professional orchestra. 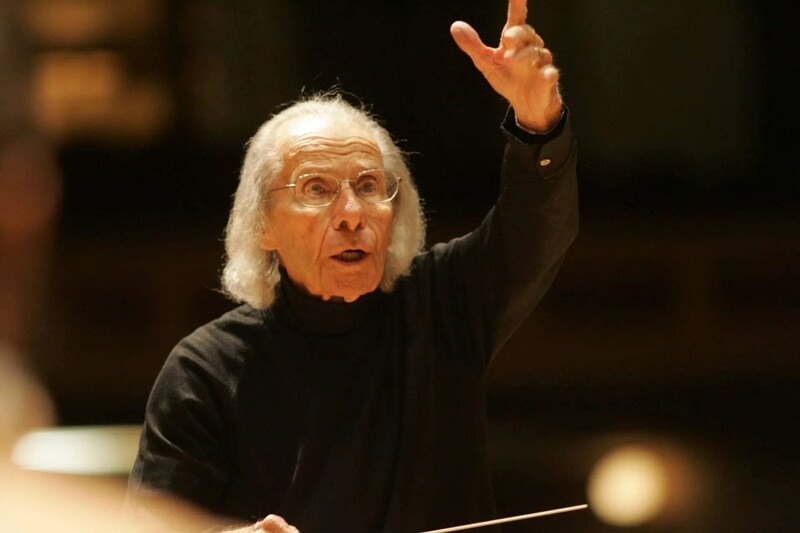 Maestro was 80 years old during the 51st Annual Concert on 23 December 1992. The Overture of La Forza del Destino performed during the concert was arranged by Inagaki Takuzo from contrabass. The arrangement was neater and elegant is expressed compared to the original orchestra arrangement. The Maestro’s lead could be felt from the way the instrument resonated and how he dealt with the notes at the end of the phrasing. The fast passages for woodwind instruments showed the teamwork of the section. There has been a change in repertoire and level of collaboration between Maestro and the members compared to when he first took TKWO. It is also proof that the God of Wind Ensemble is improving as a Maestro of Wind Orchestra. 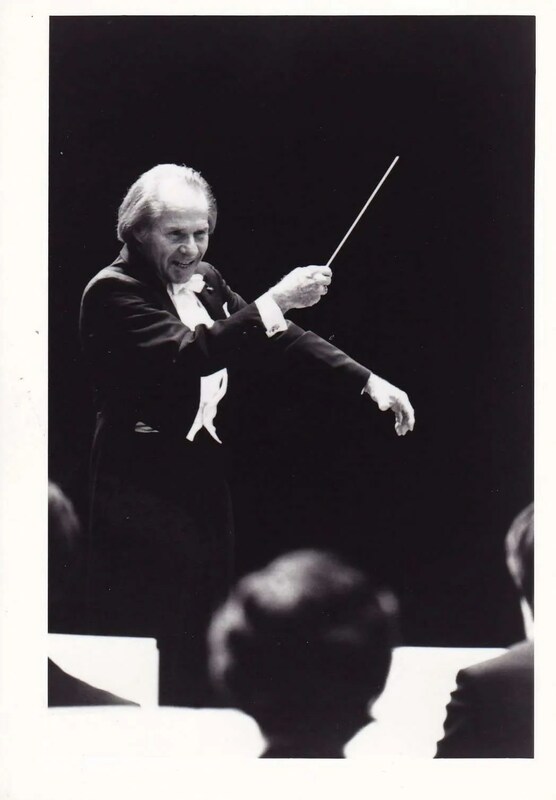 During this period of time, Maestro faced difficulty in choosing between the repertoire of TKWO and his original works for the Wind Ensemble. There were times where he threw the scores he brought from America on the floor in front of the orchestra. There were times he called in the middle of the night to complain and vent his frustration. I feel that these are the process that ultimately lead to the programme for the 51st Annual Concert. Celebration by Sparke (also played during the Swiss tour) was one of the new songs played by TKWO. Sparke is well known as a melody writer. This piece makes use of the grandness of fanfare and lively rhythm to the fullest. On a side note, after the release of the CD recording for this song, we had a dinner session with Philip Sparke and Euphonium player, Steven Mead. He mentioned angrily that “I listened to the recording. It was a wonderful performance but at the latter half, there was a part that was not repeated. I’m not happy that you have done that without the permission of the composer. Tell that to your Maestro.” This is quite a common thing and it just happened that it didn’t go as well as compared to the incident with Clifton Williams. In 1992 July, the Fennell Hall was completed in Yamanashi Prefecture Kofu City (Japan). It was also the year in which we performed a Fanfare for Federick Fennell (Composed by Dana Wilson, the piece is completely based on the F note and ends with an E at the end. E is the initial of his wife.) as a form of celebration. This was the period where we successfully completed our second Europe performance. Maestro was 80 but was living a fulfilling life and was feeling confident. There was once he showed me his health diagnosis. Apparently, he was praised by his doctor that his health was like someone in his 40s. Of course, Maestro was very pleased by that. The maturity and experience was reflected in Maestro just like in Symphonic Metamorphosis of Themes by Carl Maria von Weber by Hindemith. Lastly, I would like to reveal our performance activity.